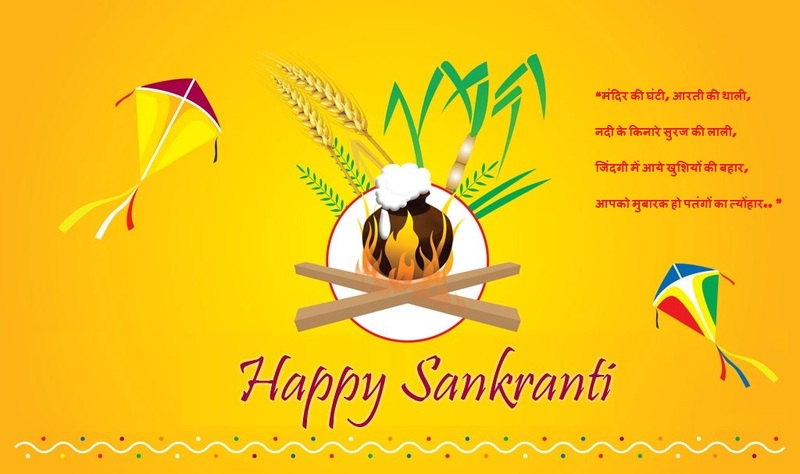 Presenting here beautiful Happy makar sankranti wishes, SMS and messages in Hindi as well as English. 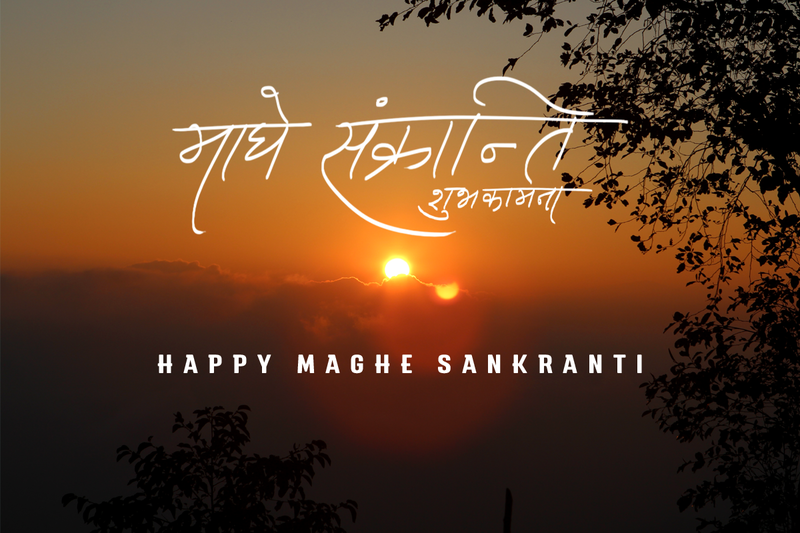 This festival marks the end of the winter season and marks the start of a new beginning. As per the Hindu calendar, during this time, the Sun transits towards the North. It is also said that the sun enters into the makara (Capricorn) during this time which signifies the beginning of longer days. 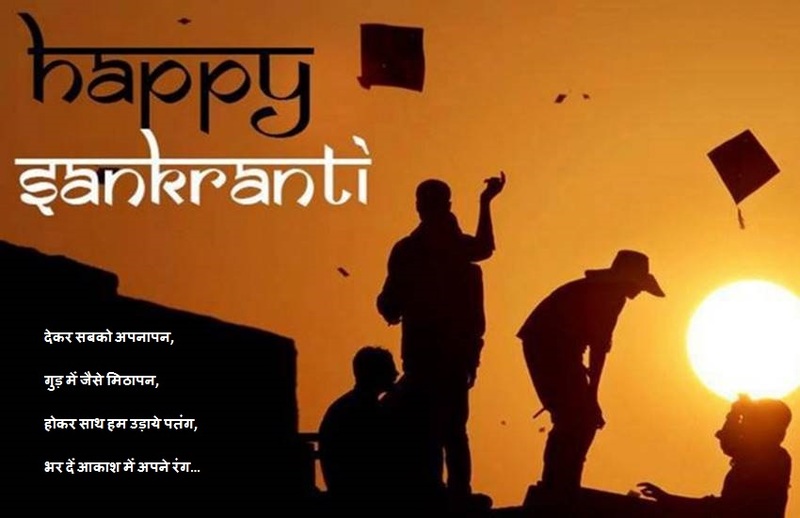 Due to the northward movement of the sun, it is also known as uttarayan. 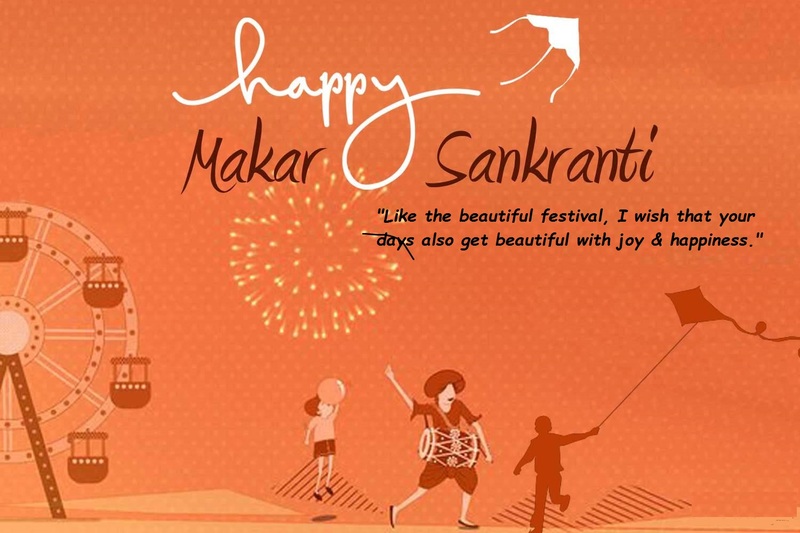 The usual dates for the celebration of Makar sankranti falls on either 14th or 15th of January every year. 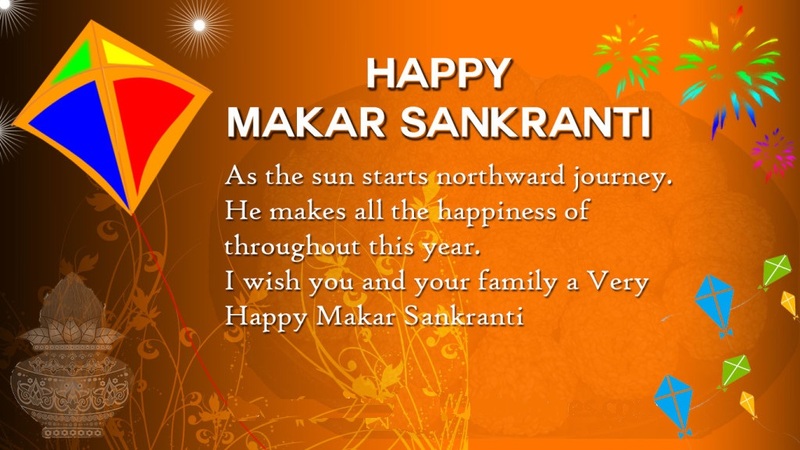 Makar Sankranti is observed based on solar cycles unlike other festivals which are celebrated based on lunar cycles. 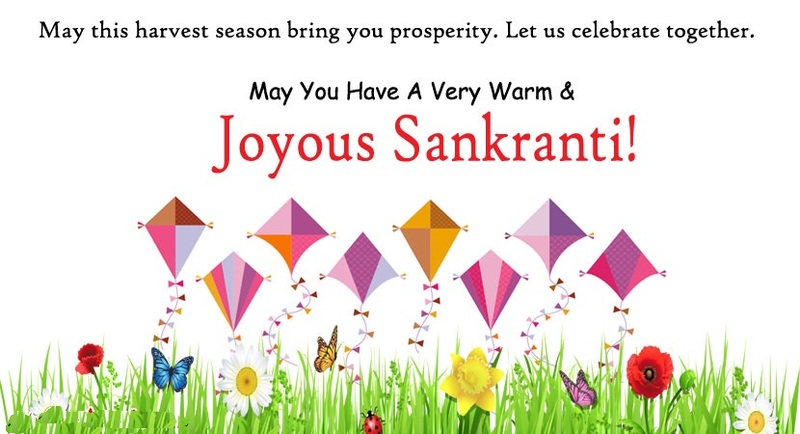 This festival is celebrated differently in various Indian states with different names and ways of celebrations. In Punjab, this festival is popularly known as Lohri and is celebrated by Hindus and Sikhs both. Assamese celebrate this festival by the name of Bhogali Bihu whereas it is known as Pongal in Kerala and suggi ki Karnataka. 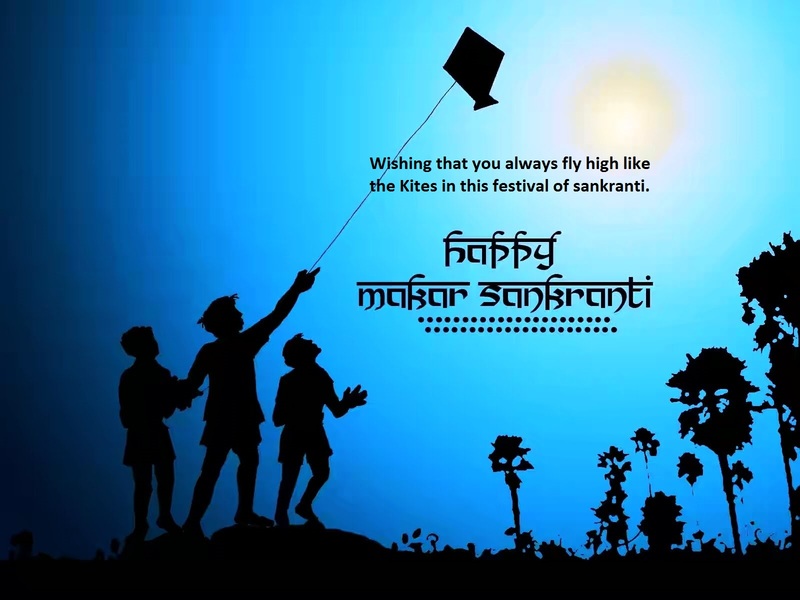 Celebrating this festival includes kite flying where people gather on rooftops and open fields to compete with other kite flyers to cut their kites loose. It’s a rivalry among celebration where young children run after the lost kites to recover these. 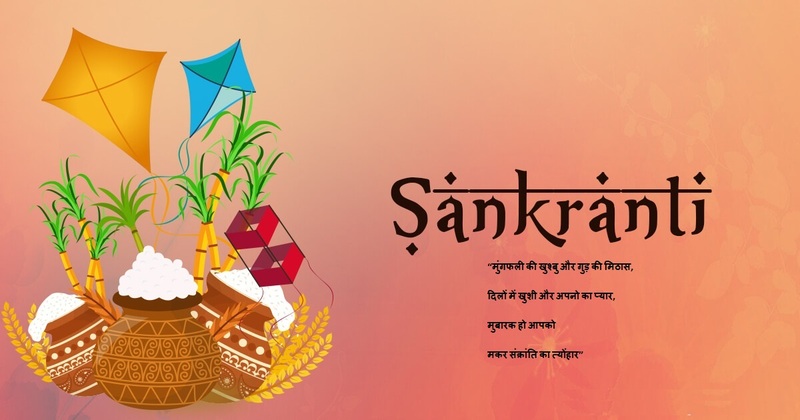 The celebration also includes singing and dancing around bonfire, organizing fares with lots of activities, preparing delicacies at home and inviting relatives and other guests. The ladies create brilliant rangolis with bright colors and designs at their home. Even people offer prayers to the Sun god as well as their ancestors on this eve. 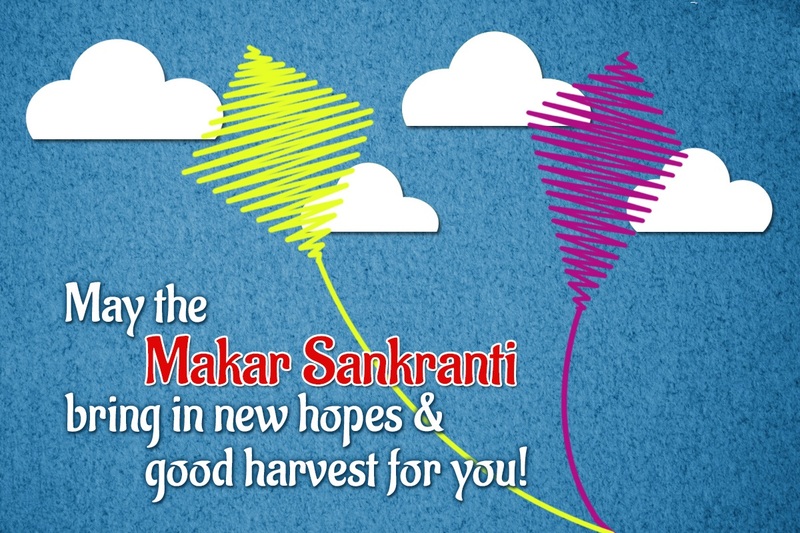 Here are few makar sankranti wishes and sankranti wishes for you to share with your friends and families. आपको मुबारक हो पतंगों का त्योंहार..